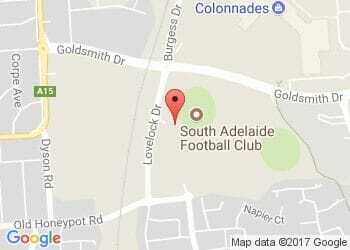 Frank began with South Adelaide in 1912, and in the following year started to come into his own as "one of the finest of South Australia's rovers. " 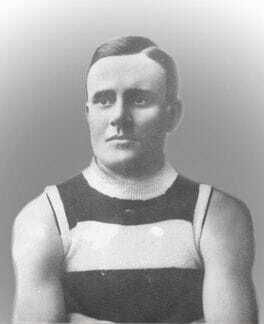 In 1914, in the Inter-State Carnival in Sydney, he was runner-up for the Tassie Medal, and then in 1915 won the Magarey Medal in a very close vote - the first South Adelaide player to receive the honor. On the night that he was presented with the medal at the Prince of Wales Hotel, Barry announced that "he hoped to do as well at Gallipoli as on the football field, and if VC's were about he would be a trier. " he embarked on the 27th of October with the 10th Btn, 1st AIF served in the Middle Easy and France, and returned in June 1919. Sadly upon his return from the war Frank would never play football again, finishing his career with South Adelaide with only 41 career games.